Makes any color of the rainbow. 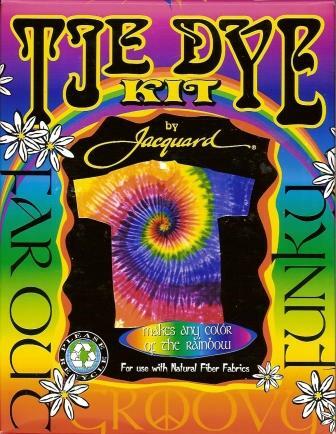 Dyes up to 5 shirts. Kit includes: Rubber gloves, Red, Blue & Yellow pre-measured dye in applicator bottles, rubber bands and dye fixer.